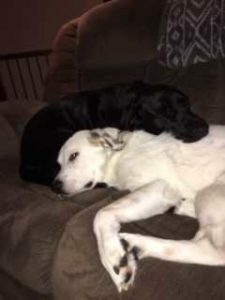 Rikka, Buck, and Parker adopted both Conrad (Great Pyrenees/Anatolian Shepard) and Harold (black Lab) from Last Hope after seeing their biographies online. 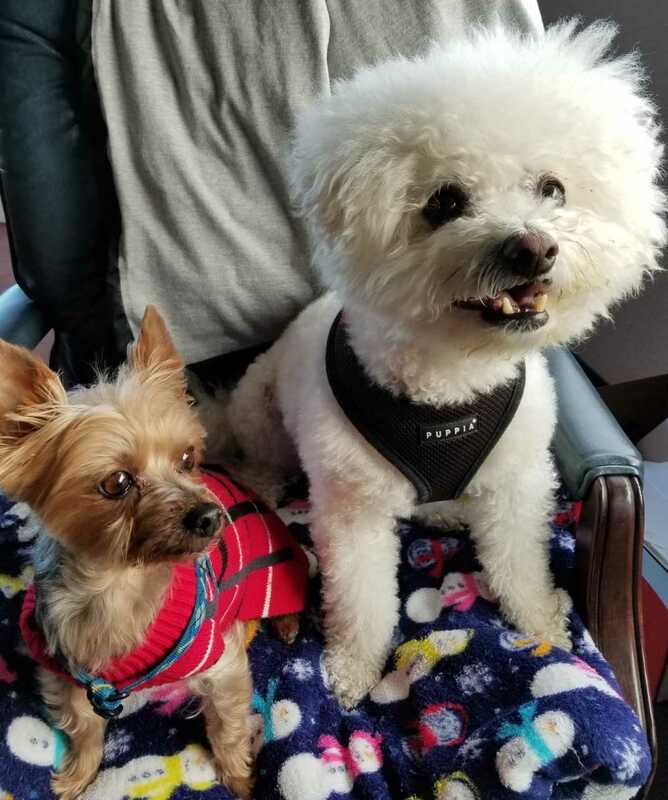 They seemed like a good match for their family so they had a home visit with the dogs, which went well with their existing dog, and Conrad and Harold became a part of their family within a couple of weeks. Conrad was a great puppy – no accidents and no chewing. They say he has a cat’s personality; aloof at times, wanting a hug at other times. 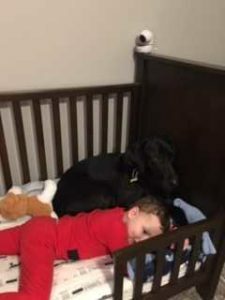 He’s been great with their son who was born six weeks after they adopted him. Harold was a little more challenging. At first, he was food-aggressive and standoffish to their affection. He didn’t seem to know what they wanted of him and he never wagged his tail. But with some love and patience, Harold is now cuddly and a typical Lab, wagging his tail and sleeping in bed with them. They love everything about Harold and Conrad. Conrad is sweet and gives great hugs and Harold loves them unconditionally and wants them to love him in return. When they leave the room and then return, he wags his tail like it’s been weeks since he’s seen them. Conrad loves to be outside and is definitely a guardian dog. In the winter he plows through the snow and makes snow angels. In the warmer weather, he sits on a small hill and guards the yard. Harold likes to sleep on the couch or crawl into their pre-schooler’s bed. Adopting a pet can require some patience in the beginning while the pets get used to their new reality. Rikka, Buck, and Parker had the patience and love for Conrad and Harold and gave them the time to get comfortable in their new home. And for their efforts and patience, they now have two great dogs. We would like to thank them for providing such a loving home for two of our dogs! 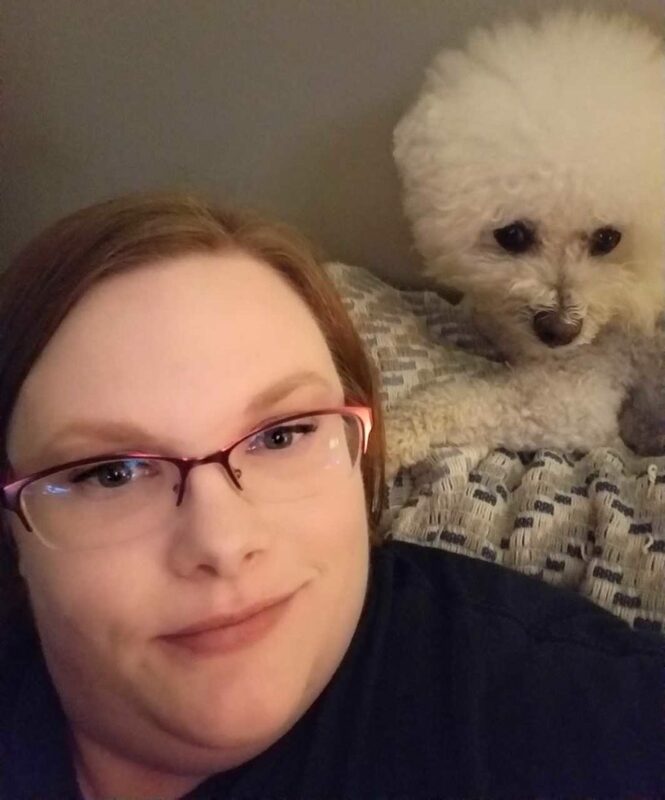 We are honoring Kelly Roedema as our Volunteer of the Month for March! Kelly has been volunteering with Last Hope since late 2016 after talking to her neighbors who foster for Last Hope. Her primary duties focus on the dogs at the Adoption Center: Feed, water, clean kennels, play, etc. She has helped at adoption events as well. Kelly admits it can be heartbreaking work but says the dogs are her inspiration. She says seeing a dog that was afraid, blossom into a confident pup because of a little love…there’s nothing like it. Thank you for all you do, Kelly. 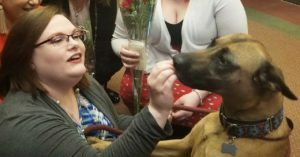 And the dogs at the Center appreciate all you do, too! 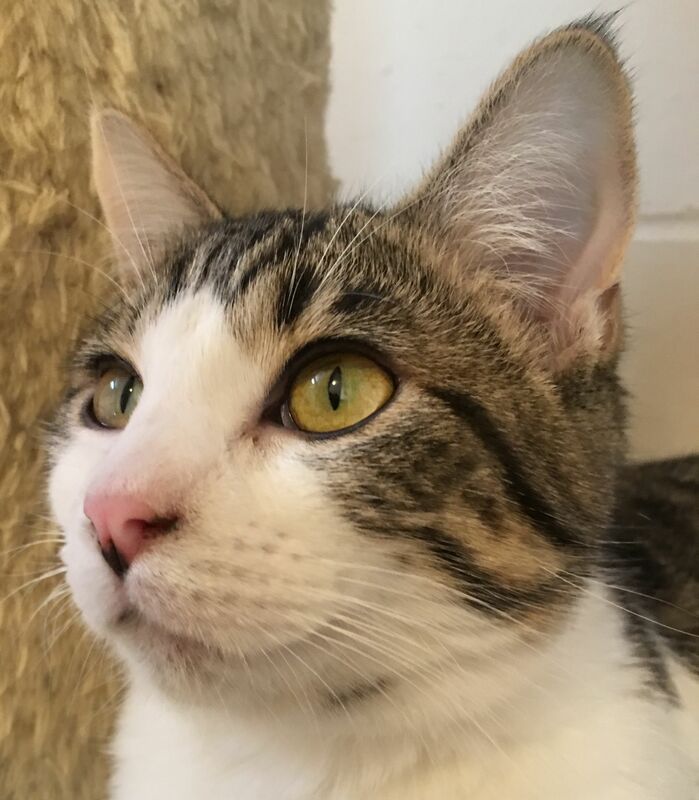 Wren is a friendly and sociable young adult kitty with soft fur and a soft purr. She gets along with other cats and is very kid-friendly. 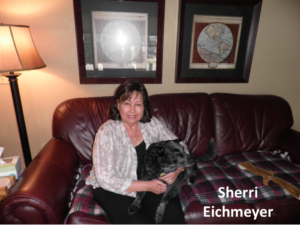 She is afraid of dogs but would probably adapt to sharing a home with a mellow, cat-friendly dog. Wren is the last of her litter to find her forever home, and we don’t understand why. 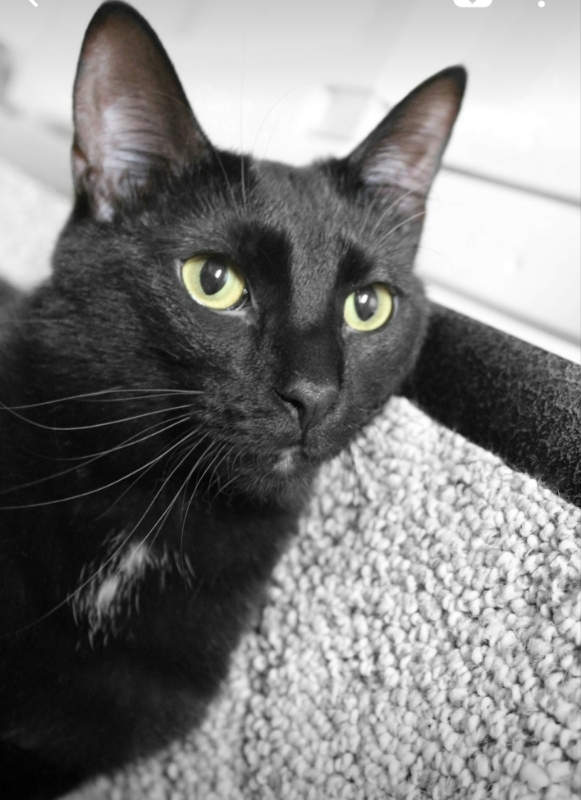 She has a wonderful, easy-going disposition and has been patiently waiting for a forever home for 8 months. If you meet Wren, you’ll quickly realize that she is a true gem of a cat. 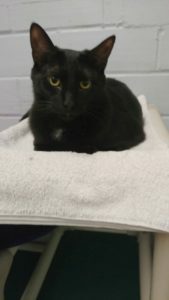 Wren is spayed, dewormed, vaccinated, microchipped, and has tested negative for Feline Leukemia. 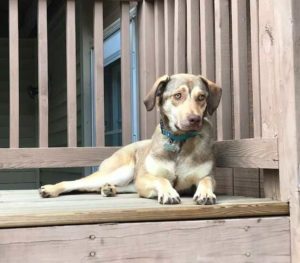 Wren’s adoption fee is $100 which includes spay surgery, being up to date on vaccinations, and a microchip with lifetime registration. This cutie is currently hanging out at the Coralville PetSmart. You can visit her there during regular business hours. If you meet her and want to pursue an adoption, please complete an application HERE. Meet Dizzy! 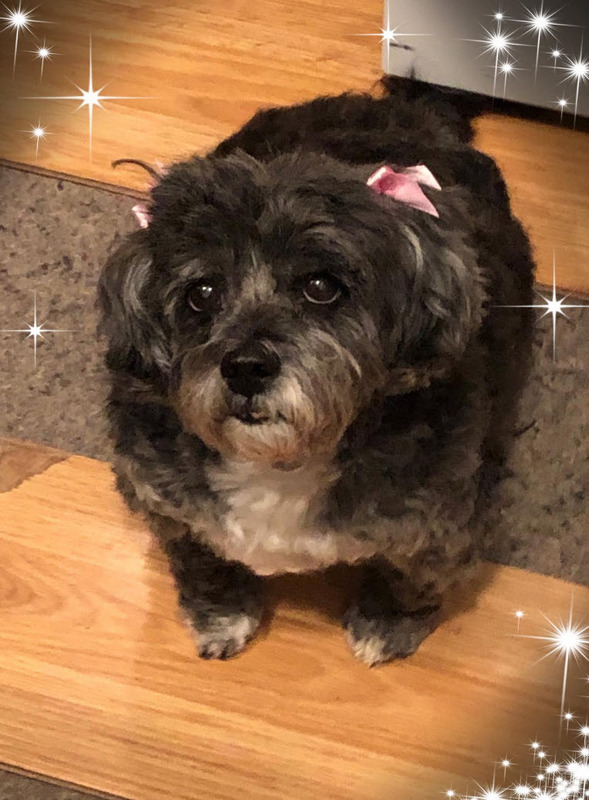 She’s a sweet 11-year-old Shih Tzu/poodle mix that made her way from a shelter in Illinois to Iowa. Dizzy is very low key and independent. 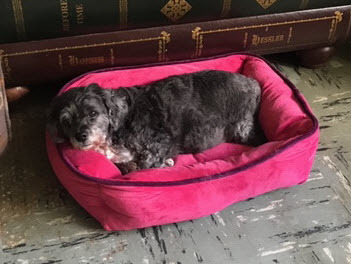 Her favorite spot is her soft pink bed. She would like a home where her people are home all day or at least aren’t gone too long. Being an older girl she needs more frequent potty breaks. 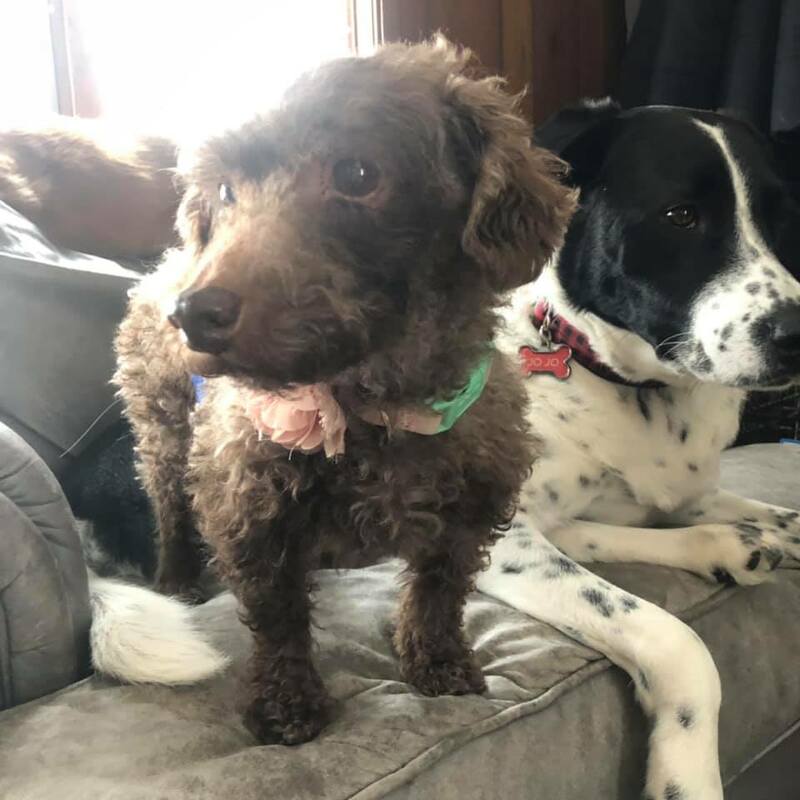 She does fine with her foster dog siblings but is totally fine with being the only one. At her age dealing with young ones, two- or four-legged, is too much work so older kids and older or calm, laid back dogs would be best. Dizzy hasn’t been cat tested but as long as they are respectful of her, they should do fine. Dizzy is crate trained and walks well on a leash but moves pretty slowly and likes to take her time. Her favorite time of day is breakfast and dinner and anything in between involving food! She will wiggle her little tail and looks like she is smiling because she is so excited. Dizzy does have food allergies but we were able to find both canned and dry food and treats that are inexpensive and won’t bother her. Other than that, she’s a healthy girl. 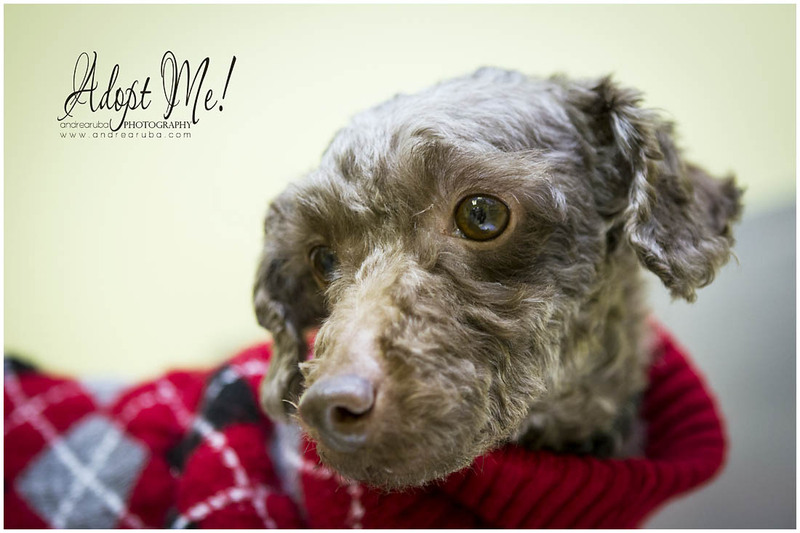 If you are looking for an easy to love girl, Dizzy might be the one for you! 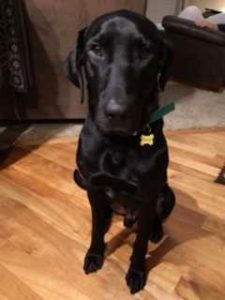 Dizzy’s adoption fee is $200 which includes spay surgery, being up to date on vaccinations, a microchip with lifetime registration, and a free obedience class. If you think you have the perfect home for this sweet girl, please complete an application HERE or email adoptions@adopthope.org. My name is Zelda, and I’m looking for my forever family! 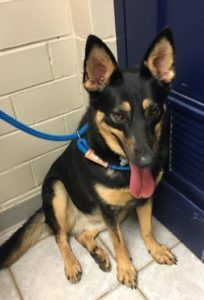 I am a young female German Shepherd mix, I know basic commands like “sit” and few fun ones like “left” and “right,” but I would love to meet a new family that has dog experience and can work with me on learning even more commands. I am looking for a family with a fenced yard, I don’t mind older kids (12 years and older) and I think I might be okay with one other dog, but I do like to be the dog in charge and get all the attention – haha. 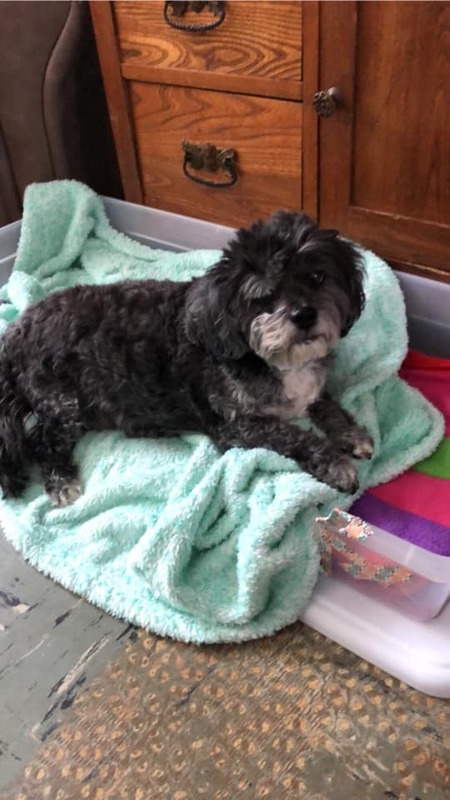 I’m not a big fan of riding in the car so crating me is how I prefer to travel, so my new family should really like to go for walks to help me get some exercise. 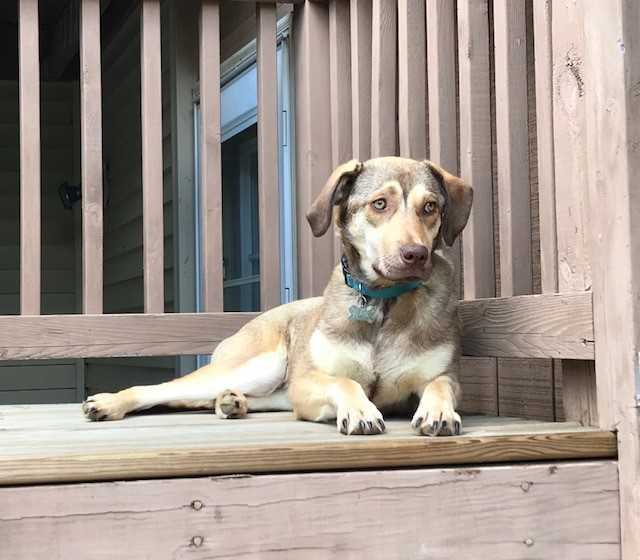 Zelda’s adoption fee is $250 which includes spay surgery, being up to date on vaccinations, a microchip with lifetime registration, and a free obedience class. 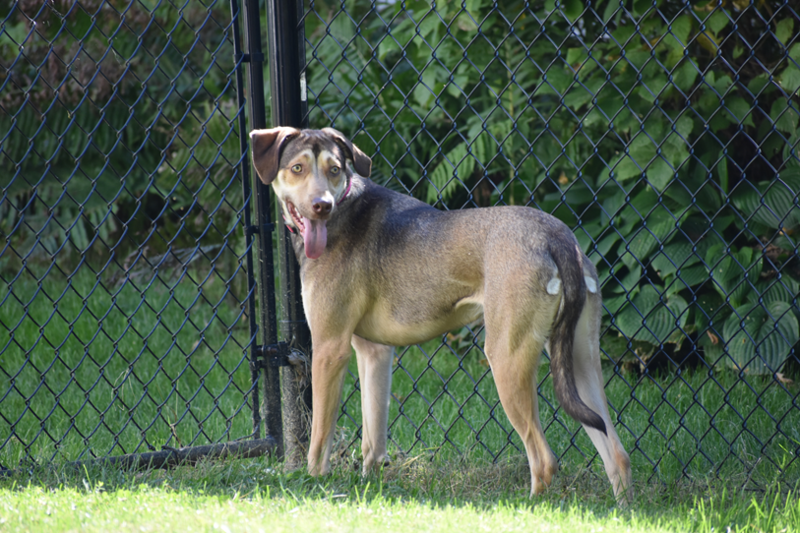 If you’re interested in this beauty, please complete an application HERE or email adoptions@adopthope.org. Max is a sweet boy who is super gentle and loves affection, especially belly rubs. 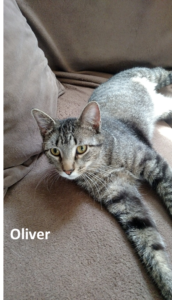 He is still a young kitty and likes toys and enjoys playing and hanging out with his brother, Oliver. His favorite pastime is watching birdies and basking in an open window. Oliver is a happy-go-lucky boy who loves everything. He gives awesome hugs and likes to snuggle, but also absolutely loves his brother Max. 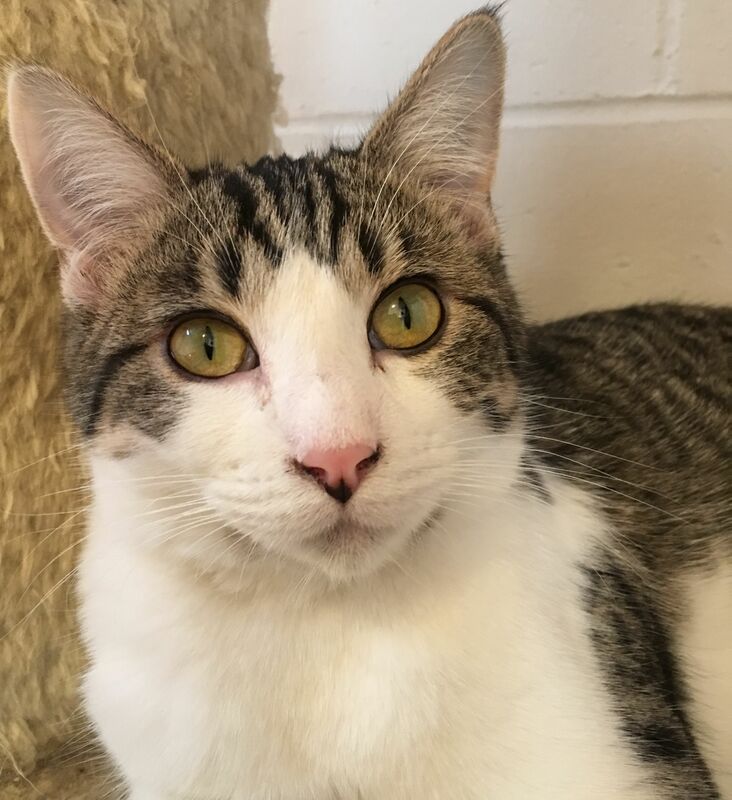 He is one of those cats that just makes you happy to be around and will make you fall in love with him in an instant. He is very talkative and for him, everything is a toy. 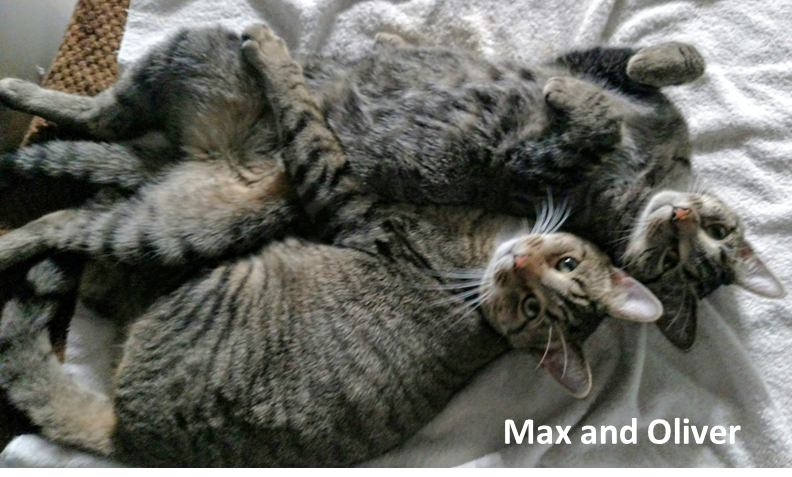 We would love to find a home where Oliver and Max could stay together and believe they would do best in a home without other kitties. If you’re interested in adopting these two handsome boys, please complete an application HERE or email adoptions@adopthope.org. Louis is going to be THAT dog that just captures your heart! Louis came to Last Hope from some pretty horrible conditions, he is a 12-year-old DoxiePoo. Louis has had to be introduced to being loved and seems to be taking to it very well. He does very well with other dogs in the home, he likes to follow and do as they do. He has also been around cats and does very well with them, too. He will be best suited in a home with another companion animal. Louis does not seek out affection from people, but he will gladly snuggle up in a chair if you pick him up or sleep soundly through the night if you place him on your bed. 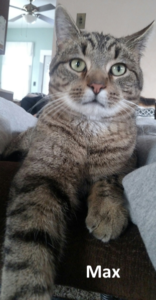 He is good to go outside and explore but will require a fenced in yard as he has no recall. Louis is not potty trained but does well wearing a belly band. Due to his age, he has been started on Proin to control incontinence and seems to respond well. 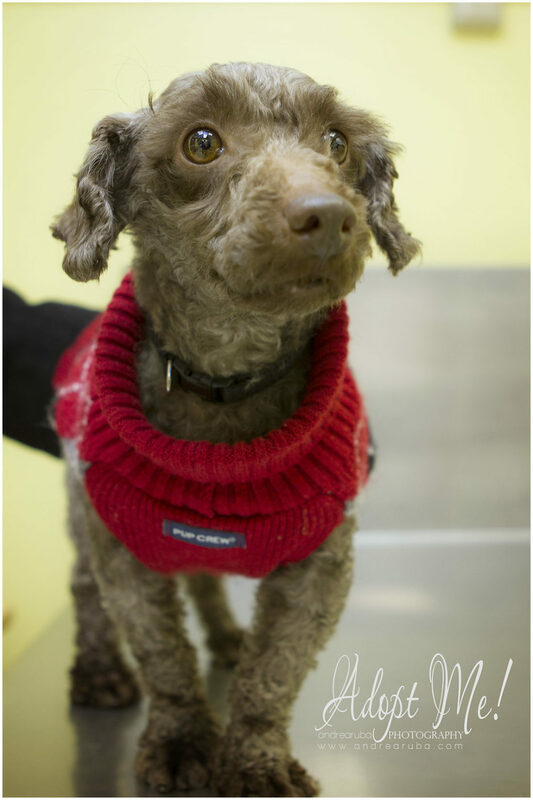 Louis does not have many teeth left, but he does great eating soft food and chewy treats. He is such a sweet dog, and whoever gets to call this dog theirs will fall in love with this sweet boy. 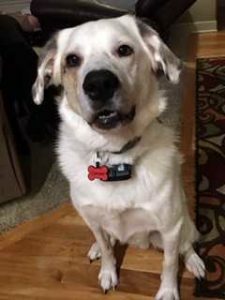 Louis’ adoption fee is $200 which includes neuter surgery, being up to date on vaccinations, a microchip with lifetime registration, and a free obedience class. If you think you can provide a great home for Louis, please complete an application HERE or email adoptions@adopthope.org. 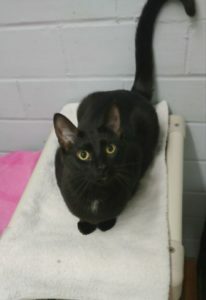 Monkey is an all black female kitty who was rescued from a feral colony in Iowa City. She has been with us for over a year. She can be a little timid at first, but she has really come out of her shell. She would probably do best in a quieter home, but she does get along with the other cats in her room at our adoption center. Once she realizes humans aren’t bad, she’s definitely up for a good ear and belly rub! Monkey’s adoption fee is $100 which includes spay surgery, being up to date on vaccinations, and a microchip with lifetime registration. If you’re interested in this cutie, please complete an application HERE or email adoptions@adopthope.org. Hi! My name is Charley Grace, but you can call me Charley. I’m only about 11 months old but have had a rough puppyhood. I was a “backyard dog” during my formative months so I’m wary of humans and scared of a lot of things. I’m slowly learning from my foster family that people are kind; I’m even starting to occasionally sneak up for a pat on the head and a scratch behind the ears. I’m great with other dogs, and I don’t even mind the housecats. I think older kids would be okay; younger ones might be a little too noisy for me. Loud sounds tend to frighten me. 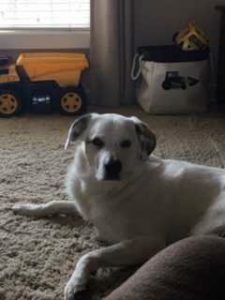 My foster mom says my adoptive family must have dogs for me to play with to give me confidence and teach me how to be a dog. A fenced-in yard is also a must so I can feel safe. You should see me play with Legacy (another awesome dog available for adoption from Last Hope!). My foster mom says that I’m a completely different dog when we play together. We don’t live far from each other, so our foster moms let us get together for playdates sometimes. It’s so much fun! I’m still learning how to live indoors, so my new family should be patient while I keep learning that I need to potty outside. I do love my crate and I never make a mess in there. Will someone please give me a chance? I know that I’m not a “typical” dog, but I’m trying so hard to be! 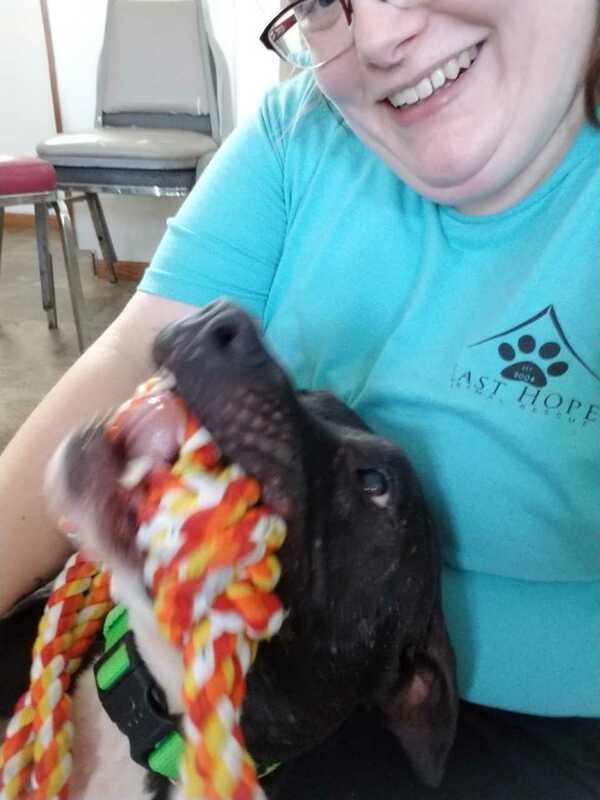 Last Hope even offers a free obedience course with my adoption so my family can bond with me. They even said they’ll support my new family for as long as they need to so that I can stay with them forever. Isn’t that awesome? 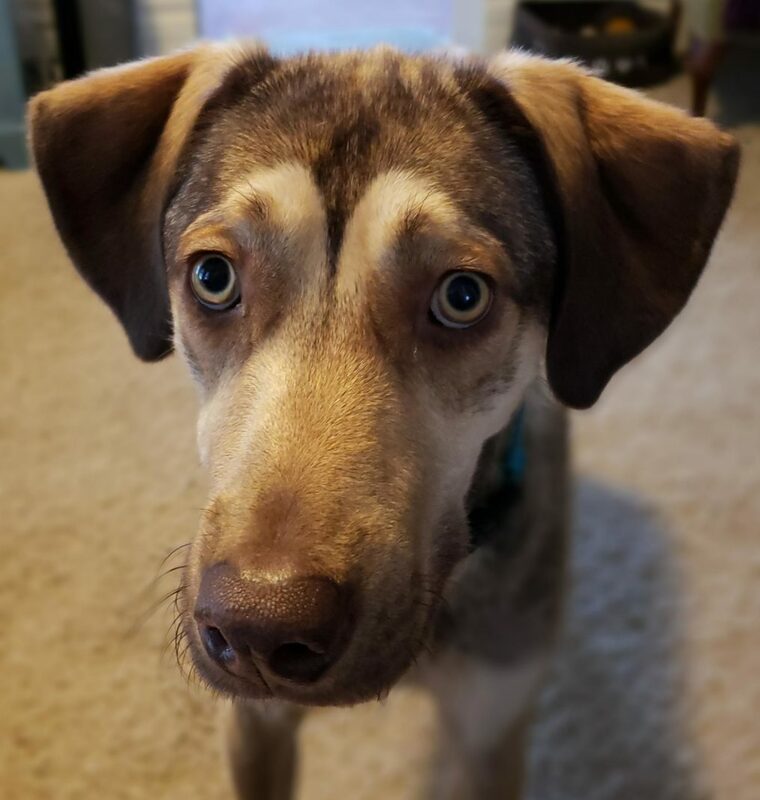 Charley’s adoption fee is $250 which includes spay surgery, being up to date on vaccinations, a microchip with lifetime registration, and a free obedience class. If you think you can give this great girl a good home, please complete an application HERE or email adoptions@adopthope.org. Last Hope has a core group of three women who perform our office tasks for us: Linda Pisney, Aggie Doyle, and Sherri Eichmeyer. They come into the Adoption Center and answer phones, take care of messages that were left, data entry, scan and upload information about the animals, and pretty much anything that needs to be done in the office. They help keep us organized and on top of paperwork that needs to be handled. 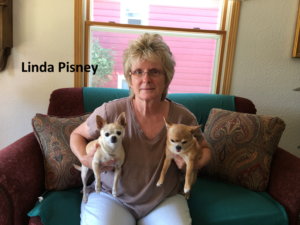 Linda Pisney has been volunteering for four years and she also helps take care of the dogs at the Adoption Center. Aggie Doyle has been with us for about two years and she also gathers donation information so that we can create and send thank you letters to donors. People, of course, think about caring directly for the animals when they think about volunteering but there is so much more work that needs to go on “behind the scenes” to keep us running smoothly. So thank you, ladies, for helping to keep us on track!